Experts: Photos being used by terror groups to inspire attacks on U.S. 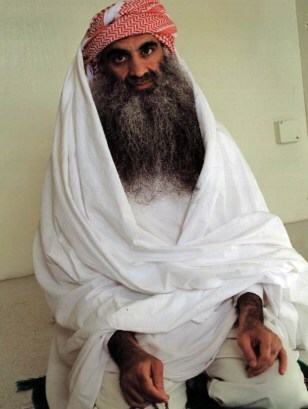 Suspected terrorist Khalid Sheik Mohammed at Guantanamo in the first week of July. This photo first surfaced on an Arabic-language Web sites viewed as sympathetic to al-Qaida.